Do you have a videostore, convenience store, book store, or other retail location that sells DVDs? Or a growing private collection of movies or music? 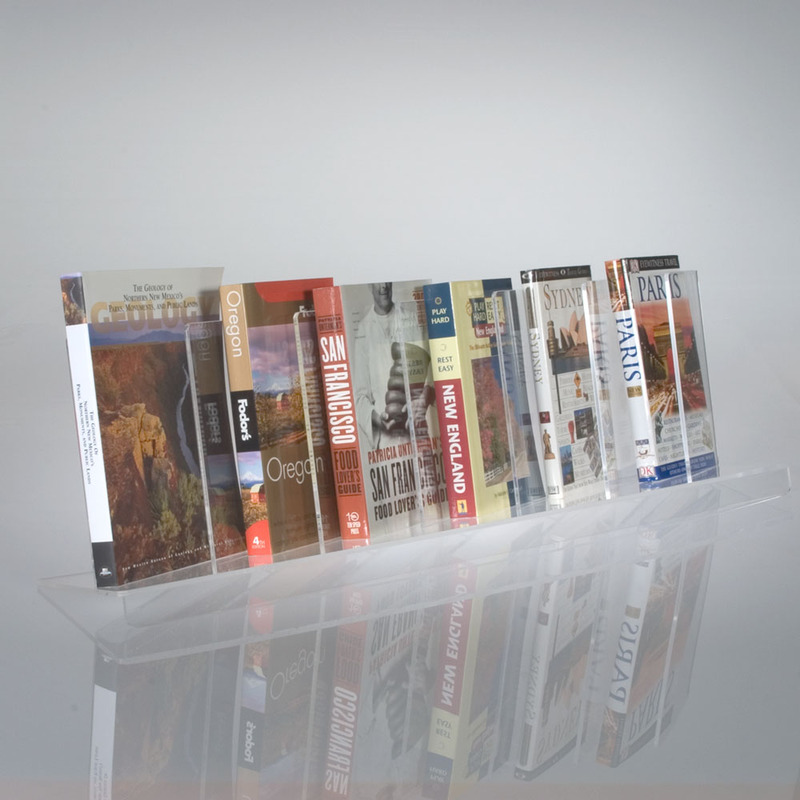 We manufacture and sell a broad range ofattractive displays for your DVDs, Blu-rays, CDs, audio books and other media. For countertop use we offer tiered stands, clear carousels, and a variety of spinners — place your DVDs near checkout to peak customers' interest while they wait. Or choose wall or slatwall-mounted shelves, or a floor spinner for larger collections. Made in the USA from high-quality polished clear acrylic or from sustainable birch plywood, most are items ready for immediate shipping. Click images below for sizes, prices, and available options.